I might be the last person you'd expect to forgo a chance to style a slice of life. I mean let's be real, I made sure to have my hair blow dried and eyelashes done before heading into the delivery room. But when it comes to my Christmas tree, my choice in decorating is best described as a nostalgic mess. Here's why I love my mismatched, rag-tag, remarkably unstyled tree and why in the years ahead, I won't have it any other way. 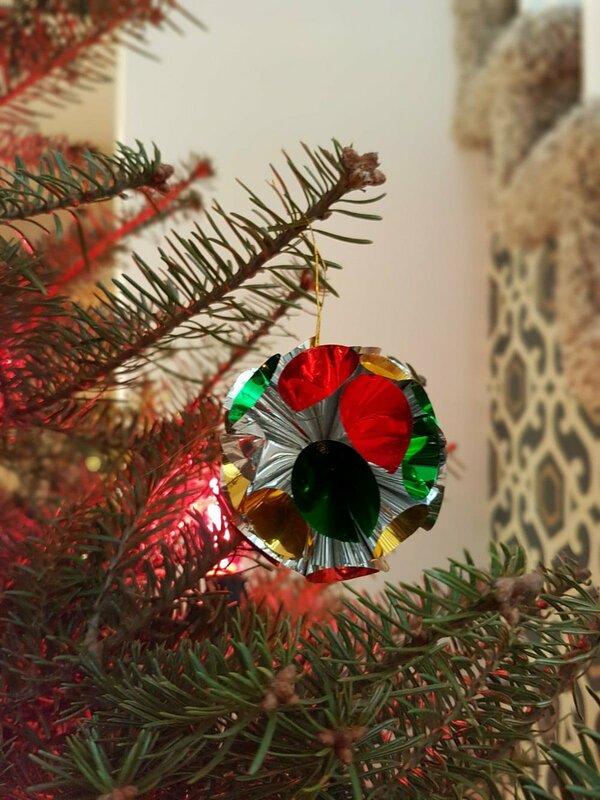 Most of my ornaments, like this foil ball, hail from my family's past and I can imagine the time in which they were new. 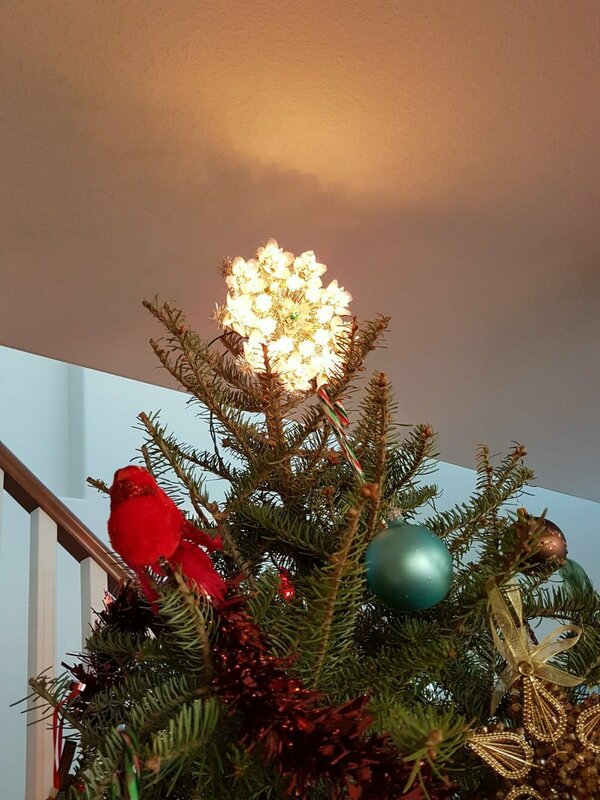 I picture my mom helping her mom (my grandma, who gave me all her Christmas stuff when decorating her condo became too much of a chore) to decorate their family's tree with the very same ornament. My grandma on my dad's side also gifted me a lot of her ornaments when she moved to a condo, and I was given more when she passed away. 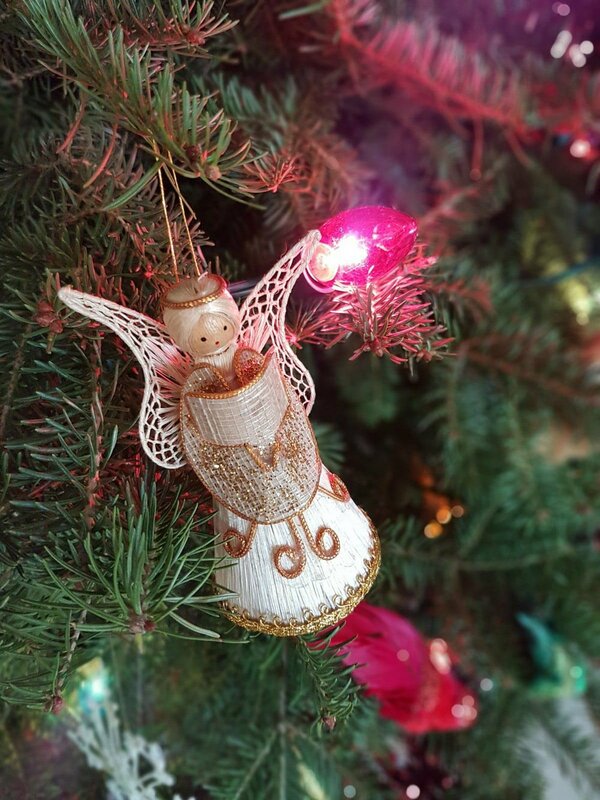 As a result, I'm guessing I have more angels on my tree than the typical atheist. And, I love every one. I'm not the only one with motley and beloved decorations to hang. This teddybear was my husband, Tyler's as a little boy and it's the sweetest little mutt I ever did see. 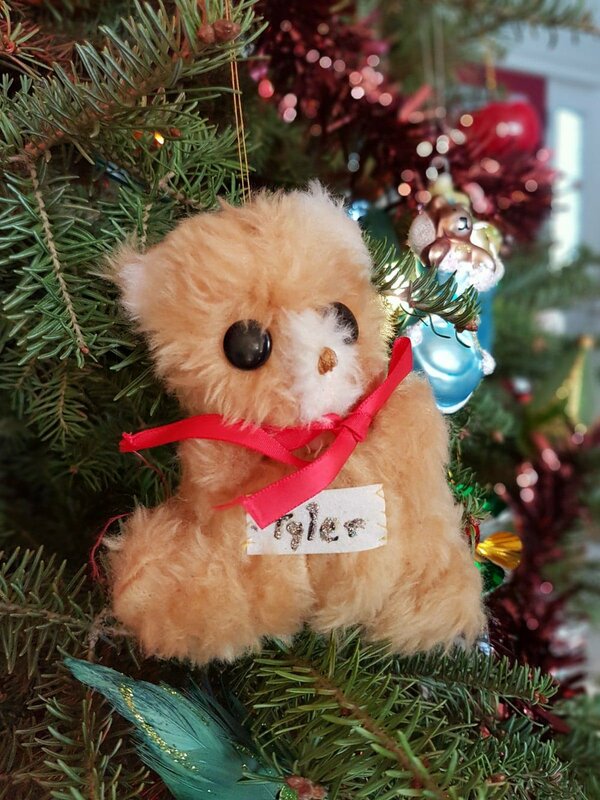 Speaking of Tyler, the first year we were together, we did buy a slew of themed ornaments: blue, silver, and copper, the only colours with which we adorned the tree that year. It was pretty alright, but lacked heart. We gave almost every one of them away but kept a few in remembrance of our one and only styled tree. And now, we have another contributing family member to the miscellaneous collection of holiday decorations: our daughter, Petra. Everything she creates for the tree makes the cut. Obviously. Bottom to top (where my late Great-Aunt Emma's lit star shines bright), my tree is beautiful to me because it's made up of memories. Am I describing your tree, too? Or do you have sentimental favourites in your holiday decor? I'd love to hear about them so please share!